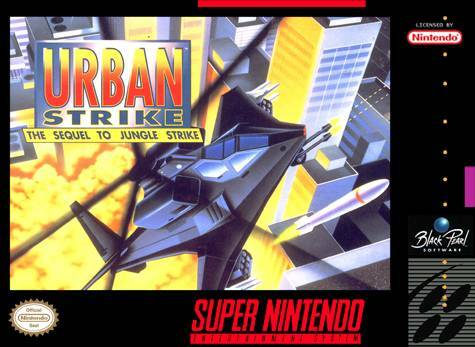 Urban Strike for Super Nintendo has you jump into a helicopter and take the battle all around the world. From the pilot's seat you're able to attack enemies, gather supplies, and complete other mission objectives that will take you to five levels that range from Hawaii to Las Vegas to Mexico. Each mission contains a varying set of parameters, though each guarantees quick shooting and flying action.